On A Field of Dreams? 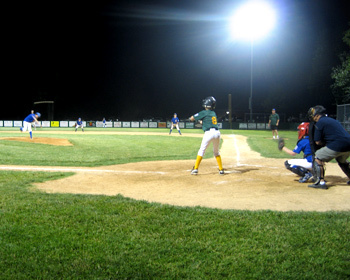 Dozens of businesses can be seen on theField of Dreams of boys and girls living in Newtown and Edgmont Townships which is the Newtown Edgmont Little League, where more than 350 children participate inLittle League baseball. Moms and Dads, as well as NELL’s Corporate Sponsors, know that boys and girls who participate in NELL organized youth baseball are also taught leadership, teamwork and responsibility to others. These skills help to develop well-rounded young people who are an asset to our community and who grow up to become strong confident adults. Most of NELL’s Corporate Sponsors from 2018(see below) and their NELL Sponsor Advertising Billboards will be returning to our Field of Dreams. But because some may not, NELL needs new Corporate Sponsors in 2018. As a sign of gratitude for this support, NELL will hang advertising on our baseball field fences for thousands to recognize our sponsor’s support of NELL during the regular Spring Season, through the Summer Tournament Team season, and into Fall Ball ending in mid-November. Corporate contributions are the major portion of NELL’s annual budget, which provides funding to maintain and operate NELL’s seven baseball diamonds, purchase training and safety equipment and uniforms, and maintain and operate The Flanigan Center, NELL’s indoor training facility. In making a corporate contribution to NELL, your business will become known on ourField of Dreams as a local business which supports the continuation of NELL’s youth baseball program. Sponsorship billboards are hung on outfield fences on Fields 1, 2, 3, and 5. NELL also allows limited Corporate Sponsorship of the Flanigan Center, NELL's indoor training facility used year-round by many sports organizations besides NELL. Select Flanigan Center Sponsors gain the advantage of a large 4 Ft. X 8 Ft. colorful billboard hung high inside the Flanigan Center year-round. Two other forms of limited NELL Sponsorship include sponsorship as a NELL Website Sponsor or as a NELL Summer Tournament Sponsor. Website sponsors gain two different sized hyperlinked graphic ads which rotate through our website for entire year. Nearly 400 NELL families which visit NELLBaseball.com often to keep informed about team schedules and special NELL events. The graphic ads of our website sponsors allow visitors to link to our website sponsor's own websites. The other form of premium NELL Sponsorship allows Four Summer Tournament Sponsors have their business names and logos placed on theOfficial NELL Tournament T-Shirts which are given out to more than 600 NELL Summer Tournament players from all across Delaware County. We ask that you consider joining your financial support with the volunteer efforts of many others this year so that the 2018 NELL Baseball Season will be a great experience for hundreds of boys and girls. NELL Sponsorship gets acknowledged online and is easier than ever. Sponsorship donations can be made by check or by Credit Card.View NELL Sponsorship Levels. On behalf of all the families of the boys and girls of the Newtown Edgmont Little League, we thank you for your kind consideration to benefit the youth of our community. Zomnick McMahon Commerical Real Estate, Inc.